That’s right, we’re working on the first edition of a series of guides to living a greener life. The first of these guides is planned for release in October 2010. 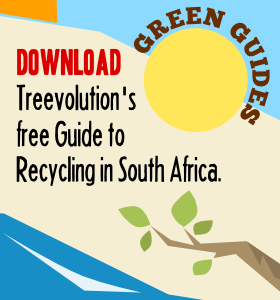 The first release will be a new-look, easy-to-read guide to recycling in South Africa. This is built on the long-running online recycling guide that we have had since Treevolution started. We plan to release new versions of each guide every three to six months so that we can incorporate feedback, new information and the most up-to-date resources. If you would like to be among the first to know when the first guide is released, add your email address below and we’ll email you when the guide is released.